Posted on July 12, 2013 by E.M. Growing up, koalas and kangaroos were my favorite animals with their cuddly faces and built-in purses to carry all their family and friends inside (well, that’s what I thought as a 7 year-old), so I knew going to “Currumbin Wildlife Sanctuary” to see some of Australia’s animals was going to be a highlight of my trip. 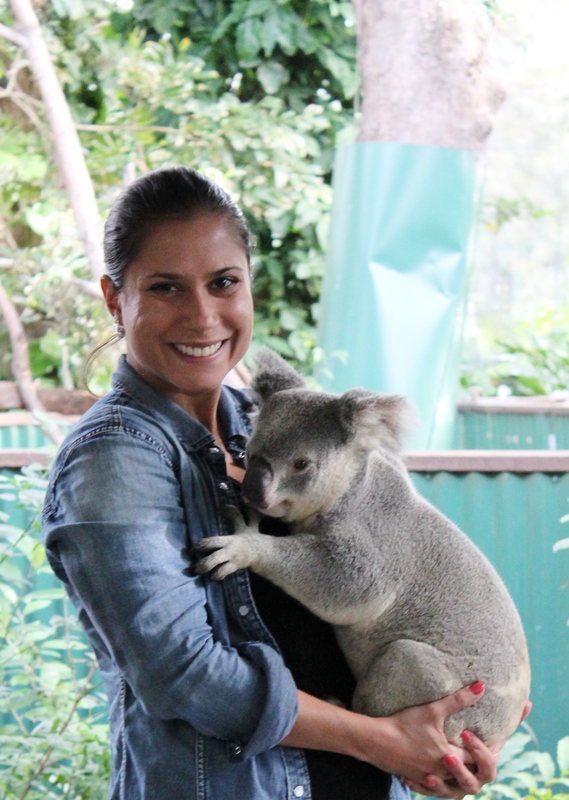 The first thing I did was, of course, cuddle up to a koala bear. They are so stinky cute I wanted to take one home. The one I held was called Happy Jay and he was the most adorable thing. Is it normal to be more excited about holding a koala than holding my friends’ newborns? The Sanctuary is not a typical zoo. Most animals are not enclosed and they have a hospital with big windows for you to see the animals they are rehabilitating. 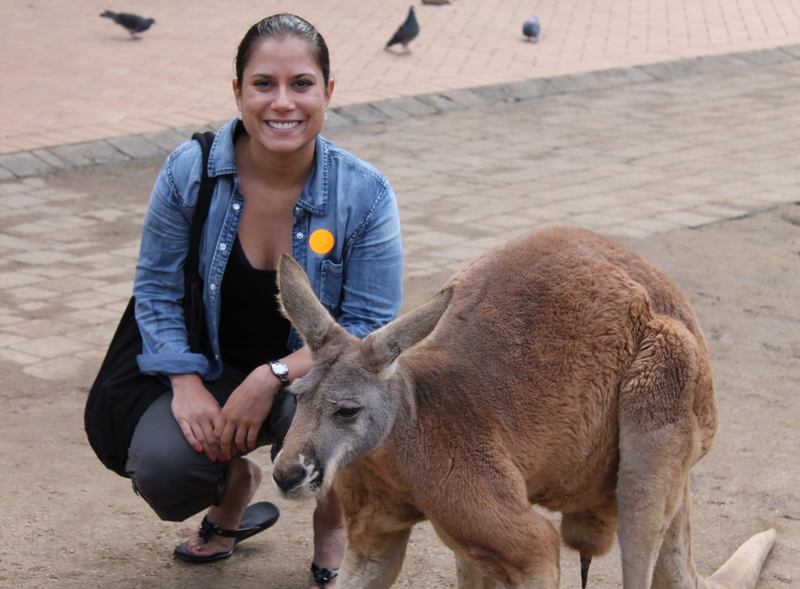 The kangaroo area was very impressive with dozens of kangaroos and wallabies you can pet and feed. And that’s not all: they have Tasmanian devils, wombats, and even a cassowary, which is the most deadly bird of Australia. From Sydney to Byron Bay we were in New South Wales, but now we will be in Queensland for the rest of the trip. 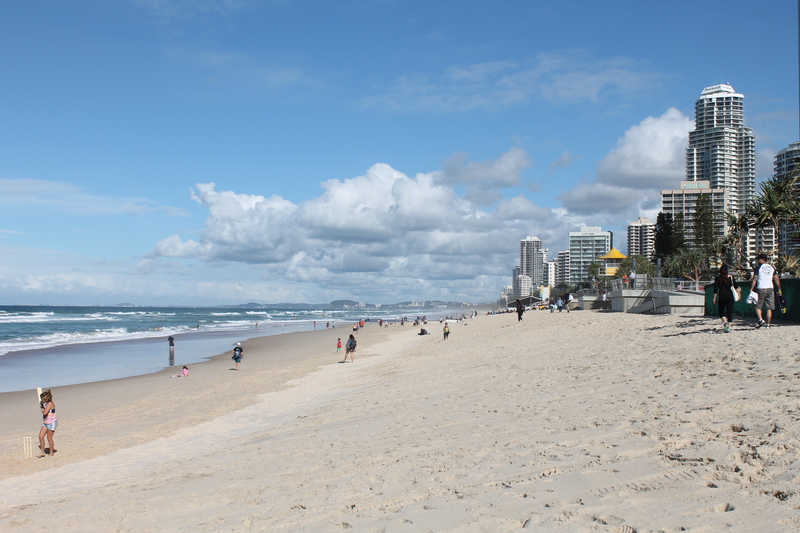 Surfers Paradise is the heart of the Gold Coast, an area where the sun shines 300 days a year. Perfect jogging weather again, and this time I was able to run for a little while. I’m very proud of myself, jogging in every town I spend the night so far. Unlike Byron Bay, this is not a quaint little town, but a city with high risers and a party scene like a small Miami. Apparently this is where people come for the Australian version of spring break. 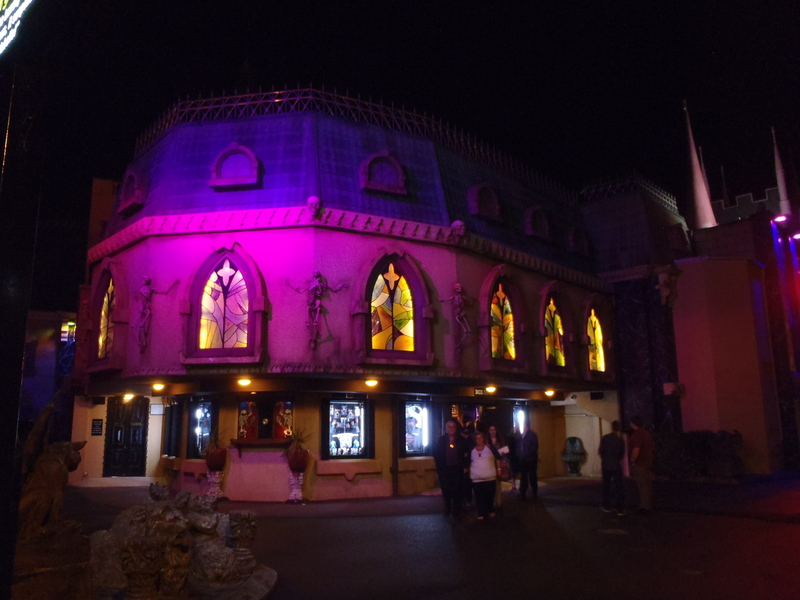 I did to go to a nightclub just to check it out, but the highlight of Surfers Paradise was a cabaret show called “Dracula’s”. It is a cheesy Vegas-style combination of random themes: burlesque, comedy, acrobatics, zombies, and vampires. However, the show is performed while we’re having a three-course meal, so if the show is not your thing, you’re sure to enjoy the Moroccan lamb. Filha, que foto fofa você com o koala. Adorei! Beijos da mami.